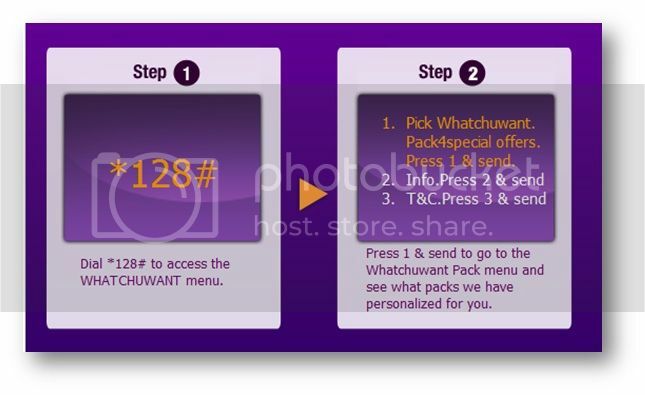 The all new Whatchuwant customized packs lets you surf, talk and do more at amazing rates! Subscribe to as many packs as you want, so that you can start blogging, tweeting, surfing and do Whatchuwant on your mobile! Don’t miss this chance to walk away with all the gadgets worth RM10k everyday. Dial *128# to pick a pack NOW! For more info, go to www.xpax.com.my! Step 2: Pick Whatchuwant Pack for special offers. Press 1 and send!